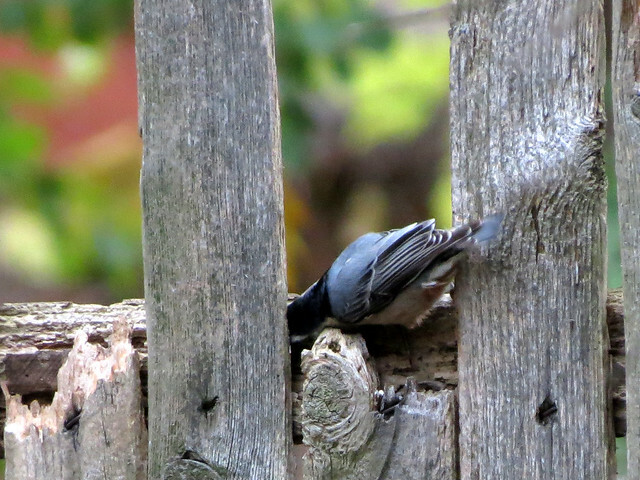 and fly the short distance to the fence at the back of the yard, seeking the best possible location to stash its precious seed. 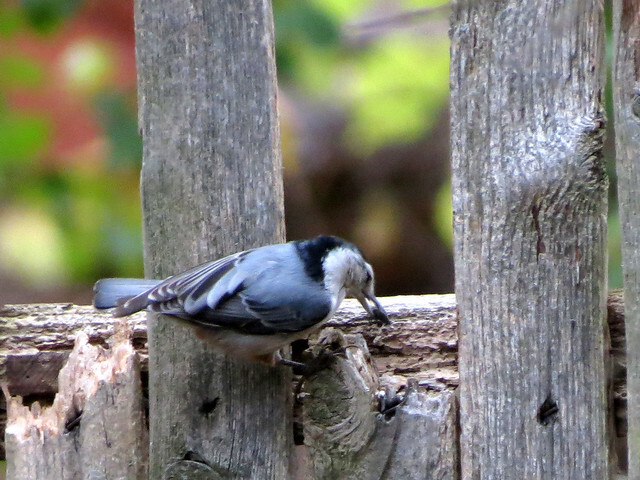 Once the perfect spot was found, the nuthatch had to cram the seed in place. Sometimes this required minor body contortions. 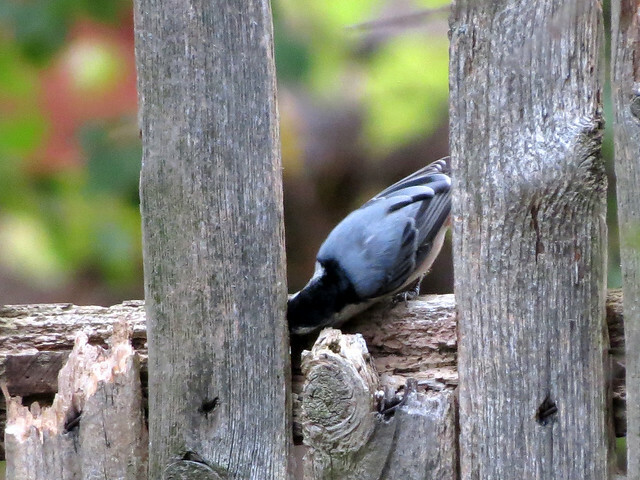 After caching several seeds in the fence, the nuthatch tried out a new spot. 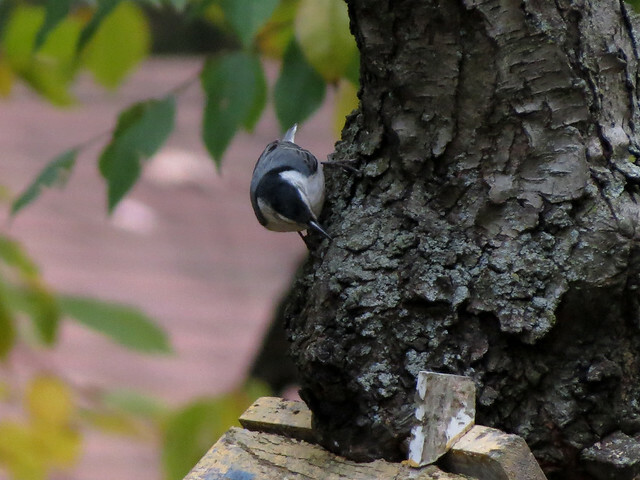 Pressing a hard seed into gnarly bark was a much quicker affair. Brown-headed Nuthatches are the only nuthatch species we usually expect to find here in central Florida. 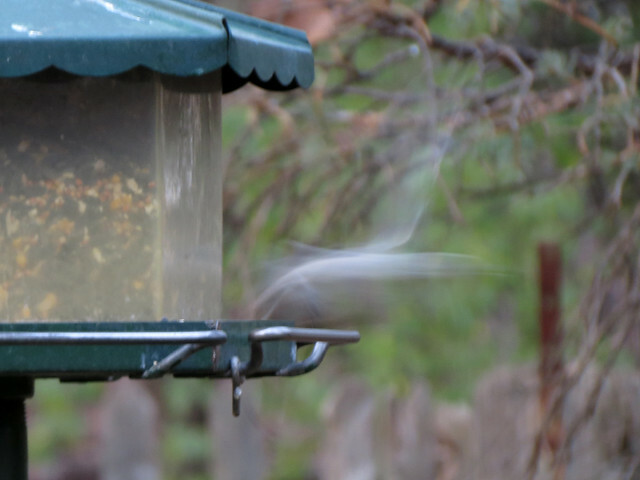 This fall, great numbers of Red-breasted Nuthatches have been moving south. 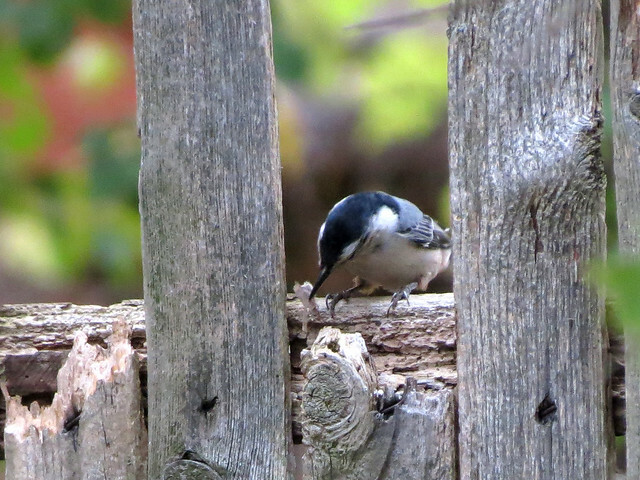 This afternoon, a Florida birder reported seeing one in my county (Volusia). 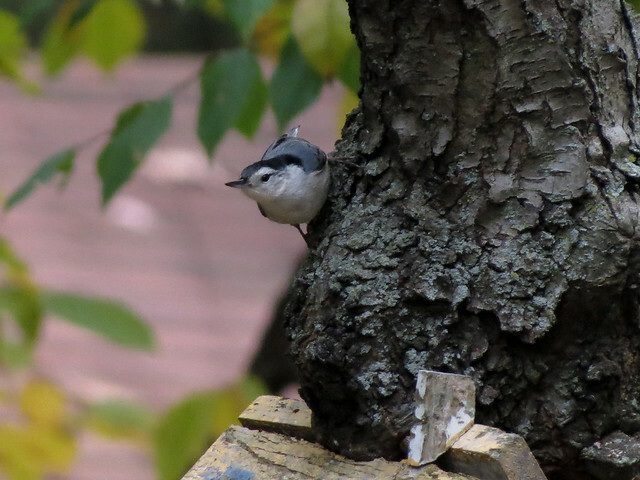 I hope to add a second nuthatch species to my county list very, very soon.